The band was formed in December 2007 by Genki Fujimori (Vo., Gt.) and Mitsuharu Morino, vocational school schoolmates. In 2009, Kota Kimura joined the band and became the current lineup. 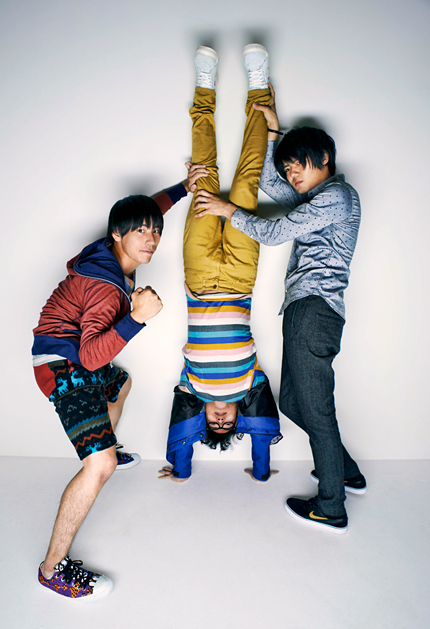 In September 2010, released their 1st EP “Fuyuu Gimmick”. The track “Music Plankton” featured on the album was repeatedly broadcasted on various radio stations. In August 2012, had their first solo live performance at Ookayama PEAK-1 in their hometown Tokyo. In December of that year made their major debut from Victor Entertainment. Named their band in the hopes to become “sakana” (appetizer to go along with liquor) in the lives of the listeners.